Augmented reality becomes a slam dunk for sports entertainment as leagues, their teams and their broadcast partners quickly take over AR. 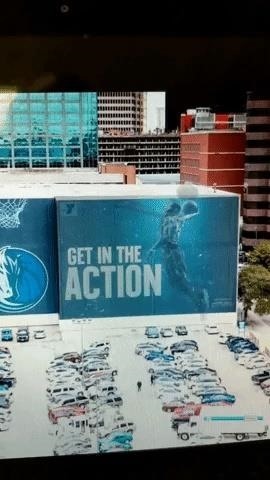 This obsession with immersive space is especially true of the NBA. The league itself has produced AR apps for iOS and Android as well as Magic Leap One, while TNT AR has integrated into its Inside the NBA show last season. Three new AR experiences for NBA fans have emerged with the NBA Los Angeles Clippers and Dallas Mavericks, along with broadcasters ESPN and Fox Sports, adding new advertising experiences to their promotional offer. 6th season ESPNs Around the Horn sports talk show moves to the station's New York Seaport District studios and redesigns the show's overall appearance, including the integration of Augmented Reality into the broadcast. For those with the format of the show unfamiliar, presenter Tony Reali moderates the discussion between remote-panelists-credentialed sportswriters, with every talking head appearing on video. With the added augmented reality technology, these videos surround Reali in the studio as floating windows that move and change throughout the transmission. The show also takes on a laid-back game show premise that Reali can now assign Any points through a touchscreen interface as well as Snapchat-like AR effects on the participant's video feeds. "We've been trying out Augmented Reality for years, a show with an impeccable scoring system and an impeccably-crafted mute. 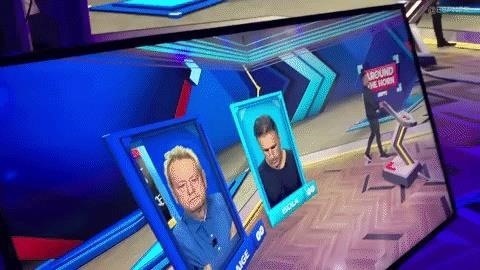 The technique of this studio will take the video game element of Around The Horn to a new level Reinvigorate debate and the interaction of our panel, "said Reali in a statement. "I'm also looking forward to the new touchscreen console and a bit of movement that will add to the pace and power of the show." A product of the ESPN Department for Remote Production Operations, ESPN's Creative Services Motion Graphics Design and the DCTI Technology Group, the AR experience is powered by Mo-Sys camera tracking technology and Vizrt rendering engines computer-aided animations. Meanwhile, Fox Sports will bring augmented reality enhancements in real time for broadcasts of the Los Angeles Clippers games. 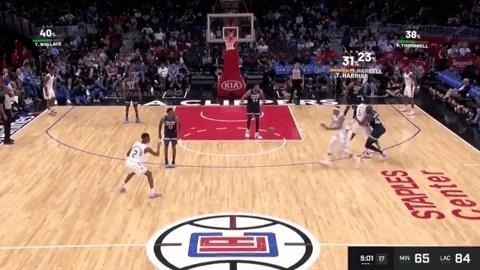 Called Clippers CourtVision, Fox Sports will be able to superimpose real-time information and graphics on Clippers players via computer vision. Three modes are available at startup, Coach mode shows real-time gameplay, Player mode shows percentage, and Mascot mode adds playful animations and special effects. Fittingly, the experience is the idea of ​​Team Chairman (and former Microsoft) CEO) Steve Ballmer, who served as Microsoft's CEO when HoloLens prototyping began in 2012.
image via Los Angeles Clippers  "It has long been a dream of mine to use technology to experience the sport Innovation is at my – and the Clippers – core, and we look forward to redefining fans' expectations about what it means to watch this revolutionary new broadcast technology, "Ballmer said in a statement. "When I bought the Clippers for the first time, I met [CEO] Rajiv [Maheswaran] and his team at Second Spectrum, they understood what I thought was possible, and finally made it a reality, the real-time video visualization technology and Big Data capabilities we've developed to power Clippers CourtVision are incredible. " And there's more. 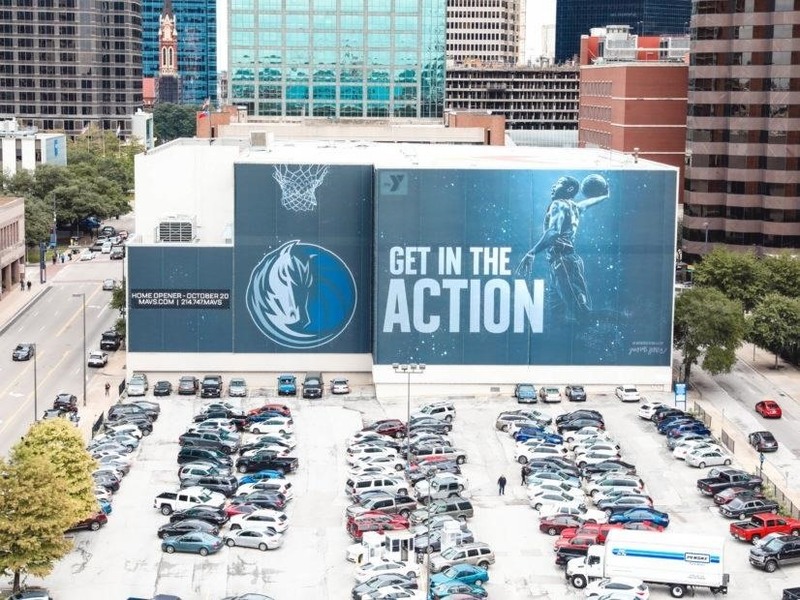 One of Western Clipper's rival, the Dallas Mavericks, have installed a mural on the Downtown YMCA building (601 N. Akard in Dallas), which serves as a marker for activating AR over Facebook's Spark AR platform and its image recognition capabilities. 19659002] After the mural has been scanned, Mavis star Dennis Smith, Jr. jumps out of the mural and dives onto the gate painted on a nearby wall. The experience ends with an appeal to visit the team's website. 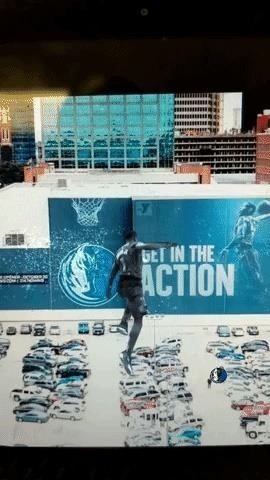 "We want our fans to be proud of being the first team to do something great with Augmented Reality, and we thank Groove Jones for helping bring that experience to Dallas," said Jerome Elenez, CMO The Dallas Mavericks in a statement. To see the AR experience for yourself, click on the Facebook Camera Effects link and point your camera at the mural, visible from the intersection of Field Street and Ross Avenue in Dallas, or the Picture of the mural embedded below.